March | 2015 | What can you do with anthropology? “Dogs, a man’s best friend” they say, but in actuality why? Pets in general, besides being something you can talk at, play with, and maybe keep you some company, are there any other uses? In this post the author gives the idea of putting your pets to good use while at home all day. The author mentions an invention of a rechargeable humidifier that doubles as a cat toy. The author then goes on to propose the idea of having a way to create energy through the wagging of a dogs tail. Will this ever be successful? Will it be a business? Household animals become part of the family quicker than anyone would ever think. But the idea of putting the animals to work, simply by having fun, or doing something that comes naturally is a brilliant idea that I’m surprised hasn’t been a bigger success. Dogs and cats alike are an investment, you buy food, take time to walk/clean up after them, your pet is a commitment and it wouldn’t be such an awful idea to maybe put them to work, without really putting them to work. There are animals all over the world, even here in the United States that do manual work, but creating an opportunity for household pets to contribute to the household as a whole is something that can really benefit the owners and the community at large. Saving energy is important so why not invest in a product that keeps your animal entertained and also saves you money? Through the development of technology the world has grown to rely on it. Technology is apart of our daily lives, without it many would feel as though they could no longer continue life fluidly. The controversy that comes with technology is who the consumers are and how it affects the rest of society when the platform, software, or product itself is made for one select part of the community and not them. Lack of resources one would say is a set back that negatively affects the ability to move forward and develop in today’s society. In this post it is mentions that “Silicon Valley design platforms and services mainly for urban elites, like themselves often young, white, male, and technically savvy”, the ability to create and develop requires someone with money and someone who is willing to spend it. The post goes on to say that although technology is largely valued all over the world, many times it is designed for a certain place or certain people. This leads me to believe that although many believe technology will be diverse and accessible to people all over the world, in order to make development easier, it’s not. Diversity is false advertisement in the world of technology and in order to obtain and use efficiently you must be part of the designer’s social class. The writing process is something that people have multiple different ways of executing. Peer review is something that gives the writer an opportunity to hear from others what they feel needs improvement, what they like, and dislike about the piece. Teachers use this as a way to help students get a new prospective on their writing and allow them to get comfortable letting others read their writing. Students, from my experience, really benefit from peer review and usually continue to use the tactic as they continue to write. I believe that peer review is a really great way to improve your writing and I feel as though it gives me as a student a different way to look at things. The blog post poses a question of whether or not the process of peer review is one that is helpful or affective. I believe the peer review is an affective way to teach and an even more affective way to help improve writers, writing. Sometimes in order to move forward you have to have a new set of eyes review the work. Being objective is something that many people are unable to do to their own work. The only way to truly know if your point, stance, or opinion gets across to the reader is to have someone else look at the work. Although many students when introduced to this kind of review are hesitant, almost all really benefit from someone else’s opinions. Is MRI Imaging the Answer for Diagnosing Mental Illnesses? Daniel Lende’s article “Common Brain Mechanisms in Mental Illness” discusses in detail the neurological brain areas that are commonly associated with mental illnesses such as bipolar disorder, depression, addiction, obsessive-compulsive disorder, anxiety and schizophrenia. The company, JAMA Psychiatry, whom did MRI imaging of 7,381 individuals that fall into this category conducted the study he outlines. They specifically focused on the areas called the dorsal anterior cingulate, right insula and left insula. These areas are used for higher-order processing in things like concentrating in the face of distraction, multitasking, planning, decision-making and inhibitions. The study found that people that fall under those categories of mental illness have gray matter loss in those certain brain areas, compared to healthy individuals. To me, does this conclude that these areas are certainly responsible for these mental illnesses? Although this evidence seems convincing, it is still tough to say. There could be any number of factors that could lead to these illnesses, including genetics. Has our medical society come too depended on the somewhat new science of MRI technology? Some would argue that it is new age phrenology, searching for areas associated with brain disorders, and blindly assigning brain areas specific meanings. Regardless, there is no doubt that fMRI imaging holds its water, but it will be very interesting to see where it goes in the future. In the article The kids form other neighborhoods, the author Matt Thompson discusses how “having kids makes the holidays more fun!” Halloween is one holiday in particular that is a “big deal” for the Thompson household. Having recorded giving out 30lbs of candy, roughly 100 glow sticks, and 200 stickers in a night. While some neighbors discourage the presence of “kids from other neighborhoods” trick-or-treating. Matt Thompson and his family recognize that they do not live in an average neighborhood. The Thompson’s reside in Hilton in Newport News Virginia. Hilton is a space that was shaped by a federal housing project for the shipyard workers of WWII. This resulted in Hilton being developed into a place that optimizes the land to fit the greatest number of houses. The neighborhood now home to predominantly white middle class has been redefined as a neighborhood perfect for trick-or-treating! Sporting sidewalks on either side of the street and houses very close to one another, it’s no wonder “kids from other neighborhoods” travel to trick-or treat here. 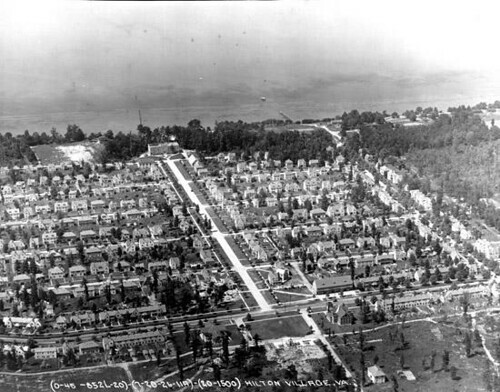 As one learns of the initial reasons for Hilton’s layout one can identify theories of space and place as the neighborhood transitioned from housing for shipyard workers of WWII to a neighborhood ideal for Halloween. This redefined neighborhood is undoubtedly having a direct impact on the childhood culture in Newport News Virginia. In an interview with Natasha Dow Schüll the study of addiction is discussed and its applications outside of drugs and public health issues examined. Consumer interfaces and technology such as online gambling, social media, and apps are all less obvious forms of addiction. These interfaces are unlike drugs in that they are easily accessible by all ages and can be abused quickly, frequently, and without regulation. Natasha Dow Schüll says that the people in the world of game and app design don’t see themselves as in the business of producing addiction. However, in the fast paced society we live in it is easy for one to resonate with the wanting of the “reward” that is often just a click-away. This article examines the concept of implementing government regulation on the amount of hours that one is allowed to spend on online gambling and other interfaces such as Facebook. I believe that the introduction of a regulative body would be refuted and instead bring more attention to such addictive contemporary experiences. “Solving the algorithm” of why technologically advanced cultures are transfixed with these interfaces? Is perhaps not as important as the impact downloadable apps/games are having on the younger generations. Even hospitals are changing the way in which they pacify children in waiting and recovery rooms; often providing the child with an Ipad to “keep him or herself entertained”. I fear that too many parents are not regulating the amount of time that their child or children are playing videogames. In this article, “We know popcorn goes ‘pop’ but can culture ever go ‘snap’?,” we see a term called “stretched culture.” This term is referring to how people perceive most and every action of a person to be based on where they live. Our first example of this comes when Elizabeth P. Challinor describes her experience her conversation with a doctor that she is assisting. In this conversation the doctor tells her that one of her patients, a Cape Verdean woman, had recently given birth and had refused to the hormonal implant that the doctor was going to give her. The doctor then exclaims “Is this culture or what?” This doctor assumed that this woman had made this decision based on her cultural background, but is it really correct to do so? There are so many people that assume peoples actions based on their cultural background from their area, most people do without even noticing it. In this article Elizabeth Challinor visits Cape Verdean, and is wondered by the way that the people can move their bodies in such rhythmic ways, and she is even more surprised that her Angolan friend, who has lived in Portugal most of her life, tells her that she no longer knows how to dance. She implies here that culture is reproduced through action, like the dancing of the Cape Verdean people. In this article we can see that. Cape Verdeans are in a location where different cultural beliefs and practices come into contact with each other, and the culture isn’t necessarily defined of the area, but rather not concise. This article explored a group in society known as hipsters. The article defines one of the typical hipsters as wearing tight jeans and flannel shirts, drinking Pabst Blue Ribbon, listening to Belle and Sebastian on their iPod, shopping at open-air markets, and having messed up styled hair. The hipster has had a great struggle in society, dying down and rising, and being ridiculed by society, such as in the television show The Simpsons. The hipsters reveal a culture in themselves due to the fact that they are not only found in America, but also in Helsinki, Reykjavik, Tokyo, Berlin, and London. With this widespread of the hipster one would think that they are widely accepted, but it is quite the opposite. Hipsters, who walk around critiquing consumer culture when they themselves have created a consumer culture with the clothes they wear, are highly hated in many places. They are so hated in some places, Berlin for instance, that Berlin recently had a movement to expel hipsters and tourists from public spaces. Most of society has a general sarcastic hate for hipsters, joking around about how too mainstream something is for the hipster, but this movement in Berlin shows pure hatred. Maybe it is time for society to listen to the hipster and understand their ways of dressing and living. Through this maybe we can understand them and find less hatred for this reoccurring hipster culture. But until that time comes, I hope that all hipsters continue to not follow the trends or become mainstream like the rest of society. Gooooaaaalllll! The 2014 victory World Cup in Brazil has just came to an end with its victor Germany walking away with the cup. I am sitting on my couch thinking “wow this World Cup must have brought so much revenue to Brazil.” I see all these people on television in the stands cheering with their happiest faces on and chanting as if they were in a cult.